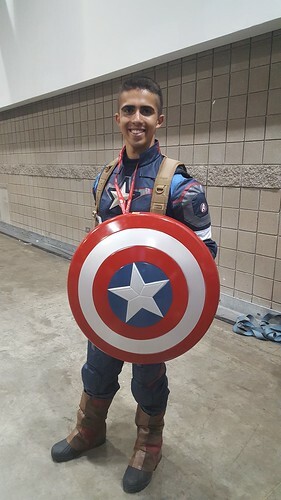 There were some amazing Marvel Character COSPLAYs at Denver Comic Con some were professional Cosplayers and some were just off the street. Here are my personal favorites! 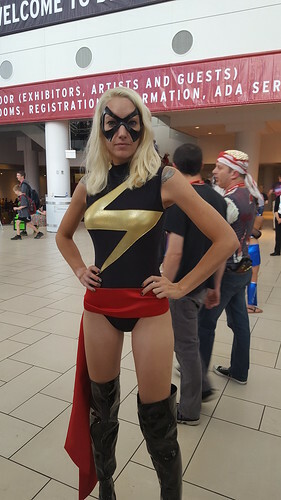 Not sure if this is strictly Marvel but it really stood out as a great cosplay. This Blade was awesome. I saw him walk by a few times and each time he had a big crowd around him. This guys friends were making fun of him for posing for the photo. I don't what they were laughing about I think he did an awesome job with this cosplay. 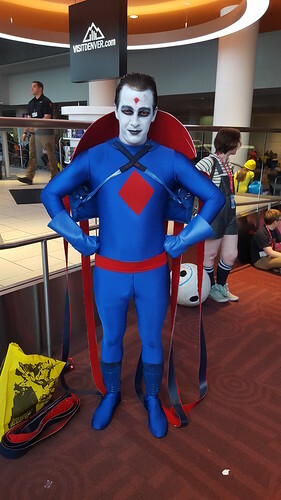 I ran into this Mister Sinister as he was still building his cosplay so this was not fully done. He had more of Sinister's cap tendrils to put on. It was still really awesome. 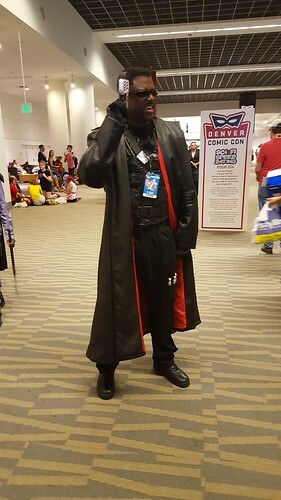 Here are some amazing cosplays from previous Denver Comic Cons. This Hela COSPLAY was done by well known Cosplayer BelleChere and was amazing. 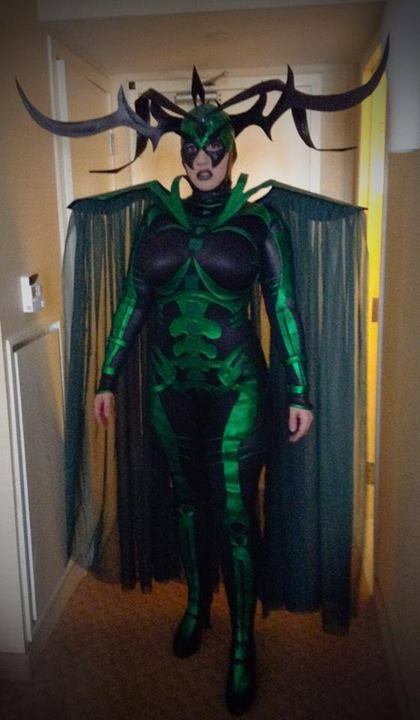 I have actually never seen a Hela COSPLAY before either and this was flat out top notch. She was also planning on doing a Captain Marvel costume but I did not see that one. She may have gotten busy doing other things in Colorado. This one deserves to be here just because how big of a clown he was. I saw a few Deadpools but one was complete Ham even stealing items and running in circles around his freinds. It was very funny. The full team of superheroes is always fun but very hard to pull off. Getting this many COSPLAYs together is very difficult and they did a great job. 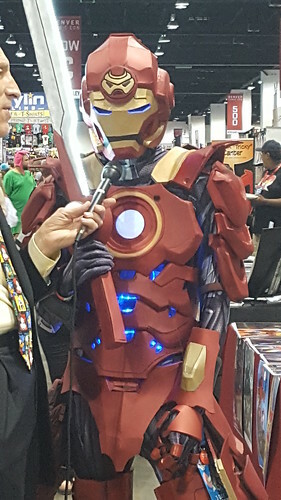 The most technical and amazing COSPLAYs had to be the electronic wonder of the Iron Man and WarMachine Cosplays. They and array of lights and sometimes sound effects emitting from their already awesome costumes. 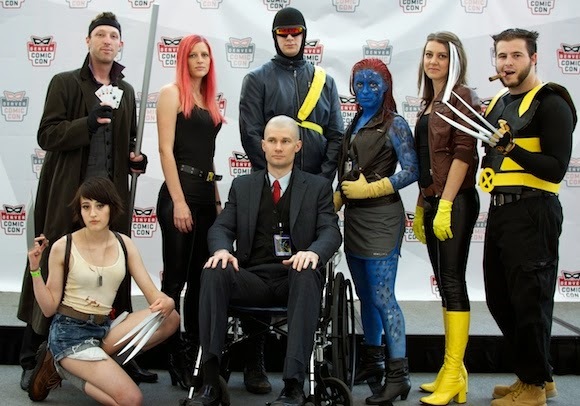 See the Amazing COSPLAY at Denver Comic CON!